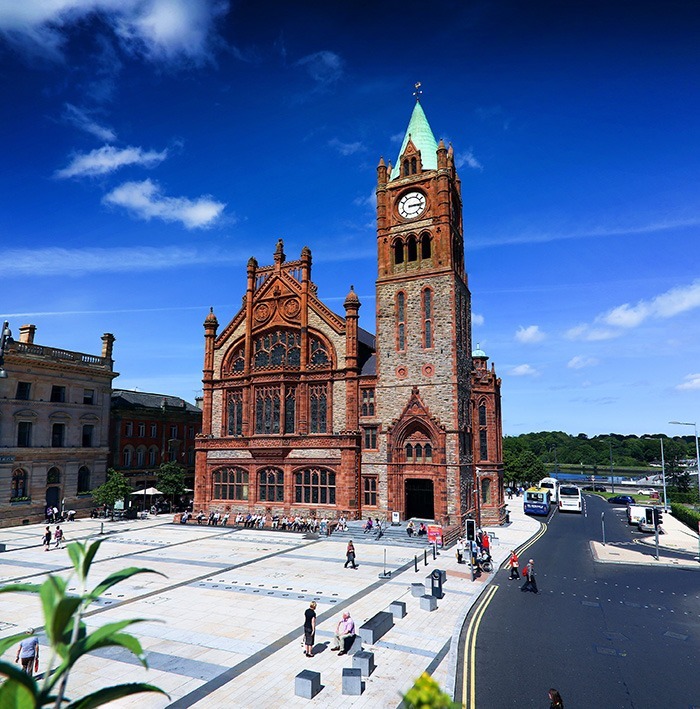 The Guildhall is one of Derry’s most recognisable landmarks and has been at the heart of city life since 1890. Located along the banks of the Foyle, the Guildhall is the city’s premier civic centre and one of the most striking buildings in the North West. The newly refurbished and award-winning Guildhall hosts The Plantation of Ulster Exhibition. Learn about the colonisation of Ulster during the reign of King James I in the 17th Century, with this fascinating interactive experience, which includes invaluable artefacts such as the Great Parchment Book and local 17th century maps. For more information visit www.derrystrabane.com/guildhall.